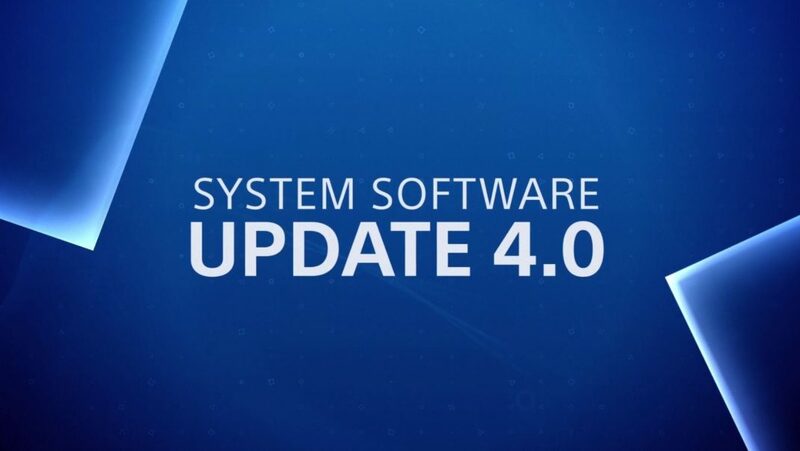 Sony has updated new feature list in PS4 System Software Update 4.00 (codenamed Shingen). The new update brings a refreshed system UI, Folder organization, updates on the Quick Menu and Share Menu, Library improvements, and much more. Check out below for more details. The Quick Menu is an enhanced Music section to allow you to discover, play, and control Spotify without needing to open the app. From the Music section of the Quick Menu, you’ll now be able to play, pause, skip, shuffle, repeat and save songs. The Music section also allows you to discover recommended playlists for the game you’re playing and view your saved Spotify playlists and songs. 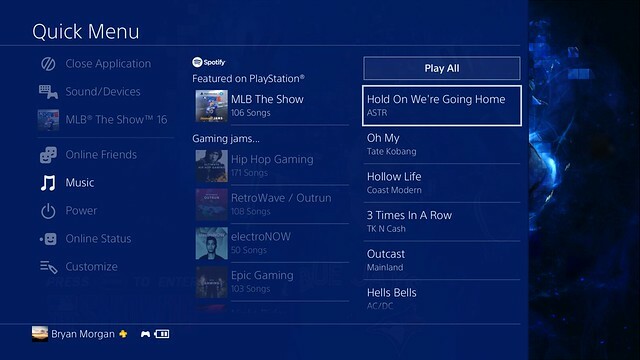 When you select a playlist, you’ll be able to see all upcoming songs and choose to play all, or select an individual song to listen to from that playlist. The PlayStation Music team and Spotify have been working with your favorite game creators to create playlists to enhance your gameplay. Follow PlayStation Music on Spotify to get the latest gaming playlists first. After updating your system to version 4.00, you’ll see HDR settings in the Video Output Settings and be ready to enjoy HDR gaming and entertainment content once it’s available on any PS4 system you own. Of course, you’ll need an HDR compatible display as well. 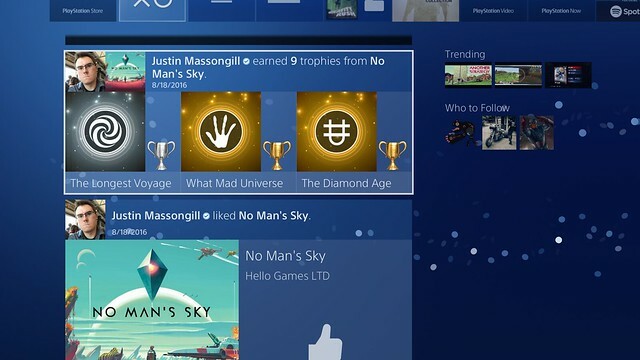 What’s New has been redesigned and now includes more information about what your friends have been doing on PS4. The left column includes the new Activity Feed, which has larger images and easily accessible options to like, comment, or reshare. The right column includes sections for Now Playing, Trending, Players You May Know, and Who to Follow. 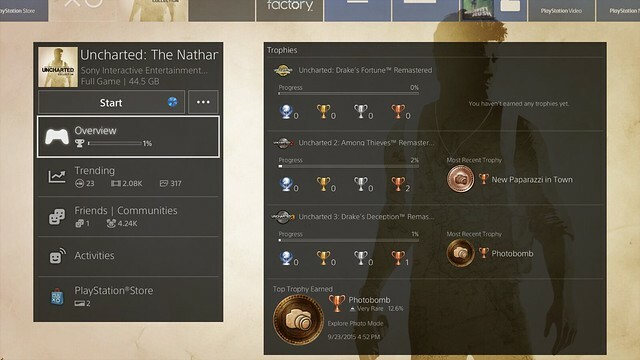 Sony has given a similar redesign to the content info screen, which you can access by pressing down on a game tile while on the home screen. You’ll be able to easily select from a variety of options to view a game’s Overview, Trending media, Friends and Communities, Activities, and related PlayStation Store content. Added the ability to transfer data over a wired LAN connection. You can transfer games, user info, and saved data. Of course, you can re-download content and transfer save through the cloud, but the LAN transfer should be much faster and easier.